The "poly woven" is 56" wide. 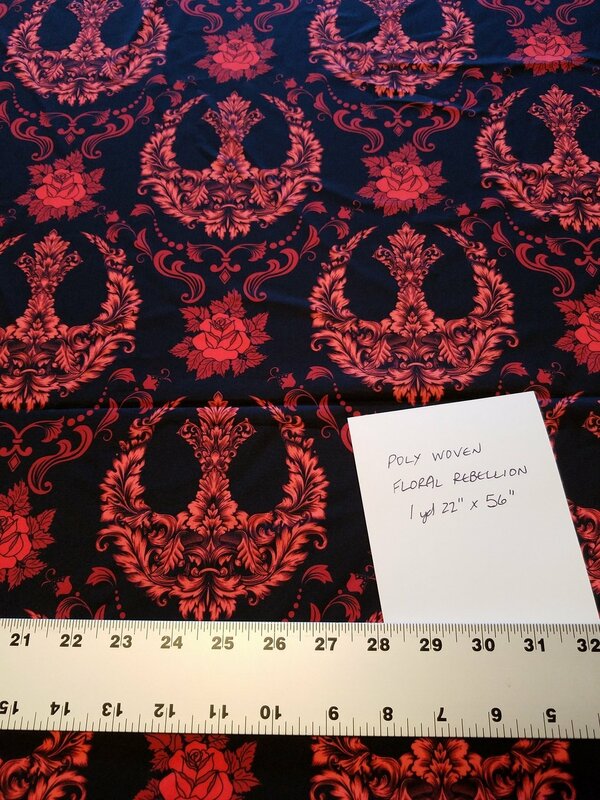 It is heavier than Spoonflower's poly crepe de chine, but lighter than MyFabricDesigns' silky faille. It would be excellent for scarves, blouses, and full/flowy skirts. Colors are vivid, and print is sharp.